Watch out for contractors who knock on your door and offer their services, especially after storms or tornadoes have caused extensive damage in the area. Seniors, especially, are vulnerable to these fly-by-night repairmen who often take your money and flee or do substandard work. In one case, an elderly woman in Lincoln County, Missouri, was approached by a man who said he had done work for her late husband. After he told her the lightning rods on her house needed work, she wrote a check to the man for $1,800, who took it and never returned. In Dallas, the con artist’s line was that his “daddy” was working on a house behind the home of the person and saw a squirrel come out of the attic. In many cases, victims get in over their heads and don’t know how to get out. In Indianapolis, three men knocked on the door of Bill Smiley, an elderly retiree, and told him that his gutters were leaking and his roof was in bad shape. The first check was for $3,000, but, by the end, Smiley had shelled out $65,000, plus he was missing a diamond ring and a Rolex watch. Termites. Treatment is only needed when there is evidence of termites inside the house or close to the foundation, so be wary of warnings about termites in wood piles or fences not connected to your house. Driveways. Roaming contractors will offer to seal your driveway—usually for a ridiculously low price—using leftover sealant from a local job they just finished, or so they say. Instead, they’ll apply a cheap imitation that doesn’t work and usually washes away after the first big storm. Roofs. Beware of roofers who tell you they’ll do the work for a discount, that you need a whole new roof or that you need to replace the wood base beneath the shingles, an expensive repair that is rarely needed. Heating and air conditioning. Scammers will try to replace perfectly good parts with new ones, or replace bad parts with used ones that still work. Basements. Deceitful contractors will recommend digging out your entire foundation and waterproofing it to fix a damp basement, something that can cost $20,000 or more. Often the problem can be easily fixed for far less by simply reducing moisture along your foundation. Plumbing. Common ploys include recommending an expensive repiping job when a less-expensive rooter service is all that’s required, and using pipes that are the wrong size or made of inferior material. Mold. Unless you have a health issue, mold is not a problem, so don’t necessarily believe vendors who offer expensive mold identification services. Painting. Fly-by-night painters will cut corners by doing very little prep work or by using substandard paint. "I had to rely on their honesty,” Smiley told the Indystar in explaining how the bills added up. “And once I got into it, it was one of those deals where you can't just walk away from it. They had my roof torn off, and the weather was bad. I needed them to get it fixed." When the men left without finishing the work, Smiley had to spend thousands more to repair the uncompleted and shoddy work left behind. "I have no one to blame but myself,” he says. “It's one of those things I've criticized others for doing—for not investigating guys like that before doing business with them." Seniors are more vulnerable to home repair scams for several reasons. 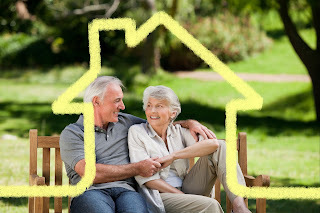 They are more likely to be home during the day when contractors come knocking on doors; old age infirmities may make it harder to do repairs, so it is likely that the house may need work; older adults may have more disposable cash, even stored in their homes; seniors tend to be more trusting than younger age groups and those who live alone may welcome a friendly face. When severe weather events, such as hailstorms or tornados, cause damage, out-of-state contractors arrive in the hard-hit area, promising quick and cheap fixes. Although some are reputable, many are not. After hailstorms hit parts of Texas in 2011-2012, the problem of unscrupulous fix-it companies prompted one organization to start an awareness campaign, known as “Who’s on Your Roof?” to help prevent home-repair scams, including asking the victim to pay the full amount upfront (after which the contractor leaves and never completes the work), something a legitimate home-improvement company would never ask. Common scams involve driveway paving, roof repair, gutter cleaning and mulching. (For a list of other common home-repair scams, see the sidebar.) If the homeowner pays for the work upfront, the con artists often do an inadequate job and leave the home in worse shape after completing their “repairs” than it was before they started. Lacks identification, such as a permit from the city or locality. Insists you come and examine “damage” with him (while an associate steals valuables from your home). If a contractor approaches you, take precautions before agreeing to any repairs (or paying any money). Get multiple estimates on any home repair job before signing a contract. Check out the contractor’s references and visit the site to check out the quality of the work itself, if possible. Check for complaints with the Better Business Bureau and make sure the contractor is registered with your state board of contractors and your local building inspection office. Never pay in full upfront, especially if cash is the only payment accepted. Make sure the contractor is insured and bonded. Document in writing the scope of the work to be done, the complete cost and time necessary to complete the job and how payment will be handled. Remember that if a deal sounds too good to be true, it probably is. In addition, you can ask friends, neighbors or people you trust for recommendations for a good contractor. Google the company to see if people have posted negative reviews. Check out the business on Angie’s List, the paid-subscription online service that posts reviews of contractors and other businesses. Beware of Home Repairs Too Good to Be True was featured in the September Senior Spirit Newsletter.